As Director of Data Migration Wylie oversees data migration projects, coordinating resources to move information from one system to another. He also provides consulting support for Engineering Collaboration deployments and client training. Wylie is an experienced Consultant and Project Manager with expertise in PLM, Project Management, Configuration Management, MCAD & ECAD integrations, ERP integrations, data migration, solution architecture and system administration of UNIX, Windows and LINUX systems. 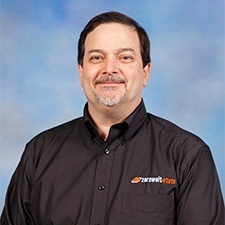 He has more than 25 years of experience in computer applications including design, development, implementation, maintenance and administration. Wylie has 10 years of mechanical and electrical design along with 15 years of experience implementing CAD integrations including Oracle Engineering Design Management and Oracle Agile Engineering Collaboration for Electrical CAD and Mechanical CAD (CADENCE, Mentor, Pro/Engineer, CATIA, SolidWorks and Solid Edge). He has been Project Manager of multiple projects for implementations at large aerospace, defense and private engineering/manufacturing companies.